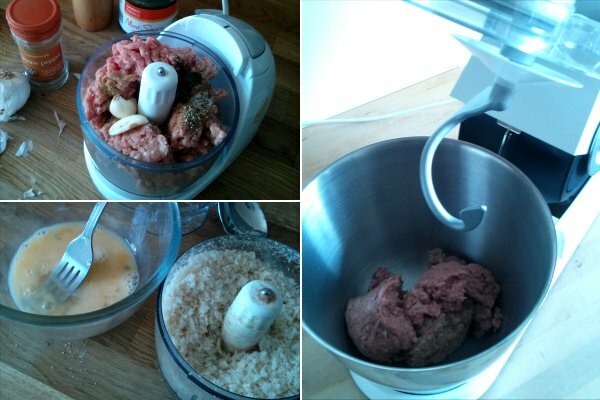 I'd been planning on making my own doner kebab for some time. But there were several problems to solve... in particular, how to get the meat into the right texture, and how would I mould it into the correct shape? And how would I get my hands on the mysterious kebab shop sauces? I decided that the only way of getting the lamb finely ground enough was to put it through some serious punishment. 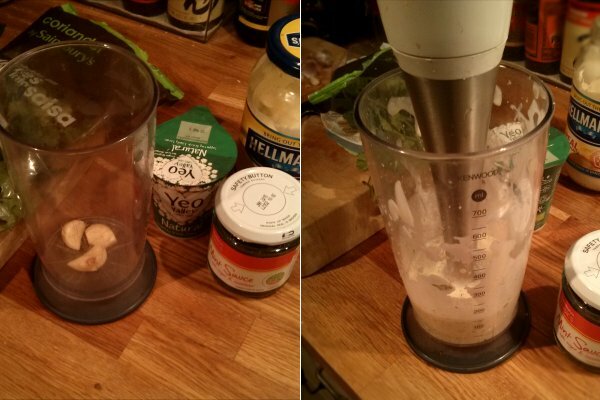 I tried putting it through our stupid mini food-processor, but the motor was clearly struggling, so I transferred it to the mixer for a lengthy pounding. 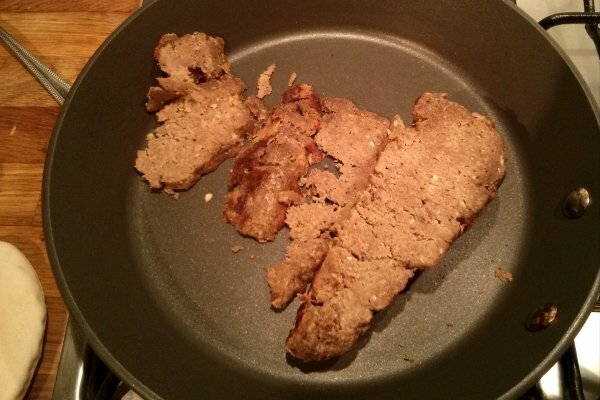 Reasoning that the chances of a typical doner kebab containing 100% meat were pretty slim, I added some egg and breadcrumbs. I also threw in some salt, pepper, cayenne pepper, cumin, and mint sauce. 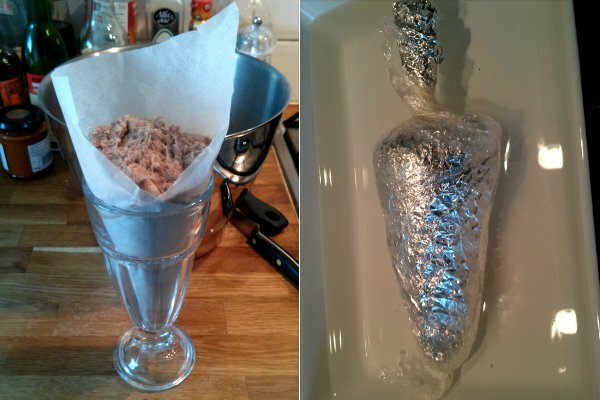 To mould the doner into the traditional shape, I made a cone out of greaseproof paper, and stood it in a glass. I packed in the meat as tightly as I could, then wrapped the whole thing in foil and clingfilm. I put it in a tray of water, and cooked it in the oven on a very low heat for several hours - hoping the meat and fat would break down and become one single dense mass. 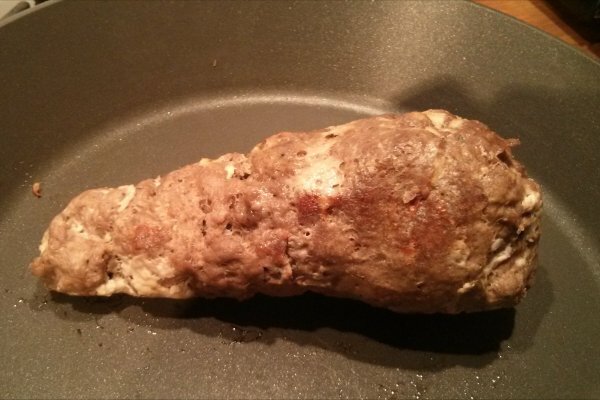 When it emerged, I was glad to see that the resulting cone of meat looked more or less like a mini doner. Rotating it under a hot grill would have been the best way to brown the meat, but lacking the appropriate equipment, I fried it for a couple of minutes. It was then ready for slicing. The kebab shop chilli sauce is like nothing you ever see in the shops. 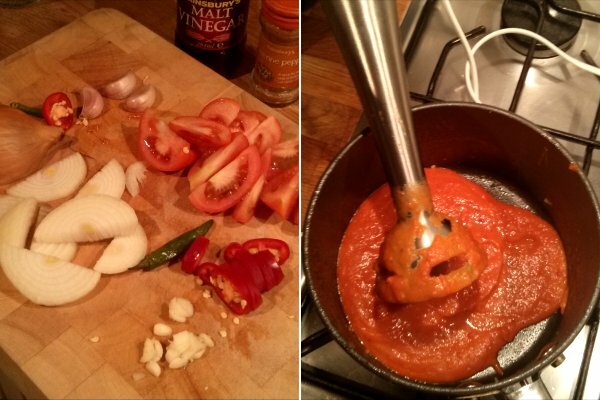 Runny, spicy, sour and tomatoey... the only option was to make my own. I fried some onions, garlic, and chilli, before adding tomatoes, tomato puree, tabasco, and vinegar. I blended it all up, until the consistency looked approximately correct. It didn't look quite right (too smooth and thick), but the taste was almost there. Kebab shop garlic sauce is one of my all time favourite things. I made mine from a mixture of yoghurt, mayo, garlic, coriander, and mint sauce. Again, blended until smooth. This time I'd really nailed it, it tasted just like the garlic sauce I know and love, but with a stronger, fierce garlic flavour. I sliced the meat and put it into a toasted pitta, before throwing in some bog-standard assorted salad, along with onion and tomato. With a generous helping of both sauces, and of course the obligatory slice of lemon, I am pleased to say that this was a really close approximation of an authentic takeaway doner kebab. The only problem was... is this meal really filthy? What's so bad about a bit of lamb with bread and salad? Even the sauce has vegetables in it. 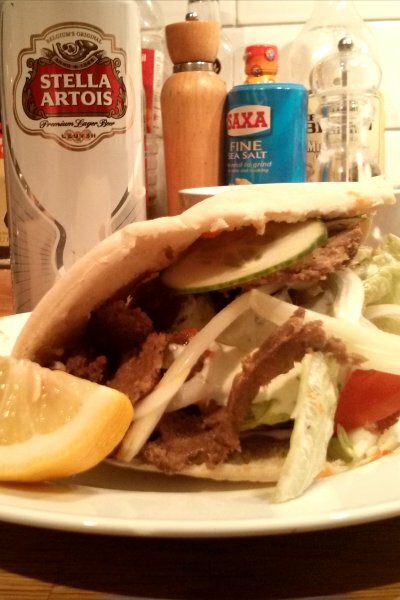 The doner kebab may be a sheep in wolf's clothing. You need to get some extra lamb fat in there for pure FILTH a la Silk Road! This looks ace though. Need kebab now. I considered adding a couple of "value range" sausages, for the extra fat, and the authentic experience of not quite knowing what you were really eating. Mr Noodles will be angry because you didn't deep fry it.